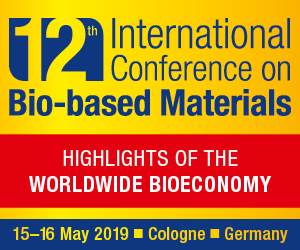 The Bio-based Industries Consortium (BIC) announced at its general assembly the results of the first extensive macro-economic study on the European Bioeconomy. The study, performed by nova-Institut, shows a turnover of 2.1 trillion EUR and employment of 18.3 million jobs for the European Bioeconomy. 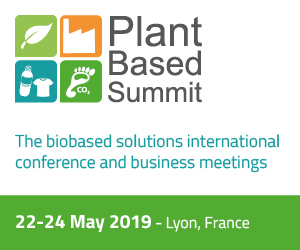 An additional internal survey from BIC (the private partner in the 3.7 billion public-private partnership on Bio-based industries with the EU) revealed that its members alone are investing more than 2.1 billion EUR in new demo and flagship infrastructure at the moment. The total European Bioeconomy amounts to 2.1 trillion EUR turnover, and includes the food, feed and beverages sectors which are responsible for roughly half of the turnover. The so-called bio-based industries – chemicals and plastics, pharmaceuticals, paper and paper products, forest-based industries, textile sector, biofuels and bioenergy – contribute with 600 billion EUR. The total employment in the European Bioeconomy is 18.3 million employees with primary biomass production (agriculture, forestry & fishery) as the biggest contributor (58%). The analysis shows different situations among Member States. Eastern European Poland, Romania and Bulgaria are strong in primary production and their commodities’ sectors have a high employment/turnover ratio. Western and Northern European countries generate a much higher turnover compared, hence have lower employment/turnover ratios. Frontrunners for Bioeconomy are Germany, Italy and France which share the highest turnover and employment in the EU-28. “Bio-based industries show 600 billion EUR turnover and 3.2 million employees. The Bio-based industry is already an important part of the European economy and a pivotal element in the transition towards a sustainable, circular economy in Europe with renewable raw materials as key enablers. 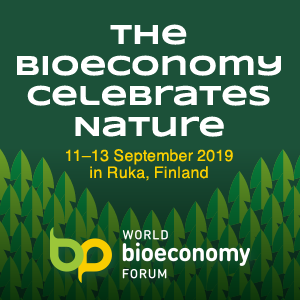 Europe should continue on this path and create stable policies to further accelerate the European Bioeconomy,” says Marcel Wubbolts, Chair of the Bio-based Industries Consortium (BIC). The study shows an overall increase in the bio-based share of the total chemical industry in the EU-28 from 5% in 2008 to 6% in 2013. Only taking into account organic chemistry, the overall bio-based share increased from 10% in 2008 to 12 % in 2013. Denmark stands out as the Member State with the highest bio-based share in the chemical industry, due to the high production of enzymes. Latvia and Sweden follow due to a large production of charcoal and tall oil. The BIC annual survey from early 2015 indicate that BIC members currently invest more than 2.1 billion EUR in bio-based industries, mainly demonstration projects or new flagships. Most of the short-term investments will take place in the lignocellulosic and forestry based value chains. “The commitment of the industry is there, and the new BBI public-private partnership certainly shows its first impact. Now politics has to follow and enable a swift transition from fossil to bio-based resources,” comments Dirk Carrez, Executive Director of BIC.